Greetings library patrons! Dare ye enter the Library of St. Tammany? I, your guide, invite you to enter and partake in a recent favorite: Ready Player One. Written by Ernest Clive, Ready Player One tells the story of Wade Watts, aka "Parzival", and his quest to find the Egg, a mysterious item hidden by the eccentric billionaire James Halliday in his virtual reality simulation, OASIS. Parzival is joined by friends Aech and Art3mis, among others, as they race to complete the various challenges necessary to acquire the Egg before the oppressive IOI Corporation gets it first. 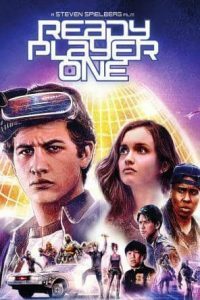 Ready Player One recently came out on DVD and Blu-Ray as well. The film adaptation was directed by Steven Spielberg. Across both the book and movie, readers and viewers experience the OASIS as a virtual world, spanning movies, books, video games, basically all forms of entertainment and pop culture from the late 60s to the present. Both book and movie take place in the not-so-distant of 2045, where human civilization is experiencing a total collapse due to war, famine, and energy shortages. The OASIS, built by James Halliday and his partner Ogden Morrow, serves as an escape from the horrors of the current times. Upon his death roughly five years prior to the start of Ready Player One, Halliday revealed the existence of an 'Easter Egg' hidden somewhere in the OASIS. Whoever completed the six challenges to acquire three magical keys and go through three magical gates would receive this Egg, and with it the late Halliday's financial control of the OASIS. IOI (Innovative Online Industries) also seeks to claim the Egg, as control of the OASIS essentially means control of the world. What about the Easter Egg? 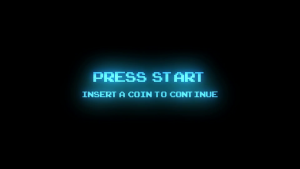 In video game culture, an Easter Egg is a hidden object or reference found inside the game that does not ordinarily belong there. Like actual Easter Eggs, they are usually very well hidden and provide a treat when found. Both the book and movie are filled with numerous pop culture references and a love for all things nerdy and hip from the last century. There are significant differences in what the various challenges are in the book and movie; I won't spoil them, but rest assured that they are very impressive in both incarnations. Whether you love old-school ATARI games, classic thriller movies, or have a favorite Saturday morning cartoon, you're bound to find something you like, lovingly recreated. The best part of both the movie and book comes at the final arc, where just about every video game, movie, and TV show hero takes part in an epic final battle. There are so many characters, it's hard to keep track of them all, and I have a blast every time I re-watch this movie, trying to spot new characters I had not seen previously. If you liked anything in the last forty years and consider yourself a fan of, well, just about anything that was fun and nerdy prior to 2000, you really owe it to yourself to check out Ready Player One.